Finding time to exercise can be challenging, and the most important thing is to squeeze in any amount of it whenever you can. But if you want to optimize your workouts to get the widest range of benefits, you might want to try exercising in the morning. Here’s what the science says about the best time of day to exercise — and what to expect if you opt for later workouts. Working out in the morning — especially on an empty stomach — is the best way to burn stored fat, making it ideal for weight loss. That’s largely because the body’s hormonal composition in the morning is set up to support that goal, says Anthony Hackney, a professor in the department of exercise and sport science at the University of North Carolina Chapel Hill. “In the early morning hours, you have a hormonal profile that would predispose you to better metabolism of fat,” Hackney says. People naturally have elevated levels of cortisol and growth hormone in the morning—both of which are involved in metabolism—so you’ll “draw more of your energy from your fat reserves,” Hackney says. That can potentially help with weight loss. Research also suggests that morning exercisers may have less of an appetite throughout the day, which could also help protect them from putting on pounds. Even if you hate early alarms, working out first thing in the morning can quickly become second nature. A study recently published in the Journal of Physiology found that exercising at 7 a.m. may shift your body clock earlier, meaning you’ll feel more alert in the morning and get tired earlier in the evening, potentially priming you to get enough rest to wake up and do the same thing the next day. Some research even suggests that it’s easier to stick to healthy habits completed in the morning. A morning sweat may also lead to better mental health and productivity throughout the day, since exercise is great for reducing stress. But if you’re really not a morning person, don’t force it. “You may be exercising, but it may be at such a low intensity level that you’re really not expending a lot of energy,” Hackney says. If you can swing a lunchtime workout, Hackney says that’s not a bad second choice — especially if you’re trying to do a very long or rigorous routine. An afternoon workout can also be a great way to avoid an end-of-the-day slump. The Journal of Physiology study found that exercising between 1 p.m. and 4 p.m. can shift forward your body clock in the same way as an early morning workout. Even taking a quick walk may help you perk up and refocus. One preliminary paper from 2018 found that your body naturally burns about 10% more calories in the late afternoon, compared to the early morning and late night. The researchers looked at bodies at rest — so they can’t draw firm conclusions about what happens when people work out — but it’s possible that you could burn a little extra energy if you move in the afternoon. For many people, exercising is most convenient after work. But there’s a common belief that evening exercise perks you up so much that it’s difficult to fall asleep later. While the Journal of Physiology study found that exercising between 7 p.m. and 10 p.m. delays the body clock, translating to later bedtimes, Hackney says he’s not convinced that’s the case. “Evidence suggests that, as long as you’re not exercising, showering and then [immediately] jumping in bed to go to sleep, it doesn’t interfere with your sleep pattern at all,” he says. A stress-relieving activity like yoga may even help you sleep better if it’s done at night, he adds. And while the research about morning workouts and weight loss is more established, some evidence suggests that nighttime workouts can also set people up for weight loss. 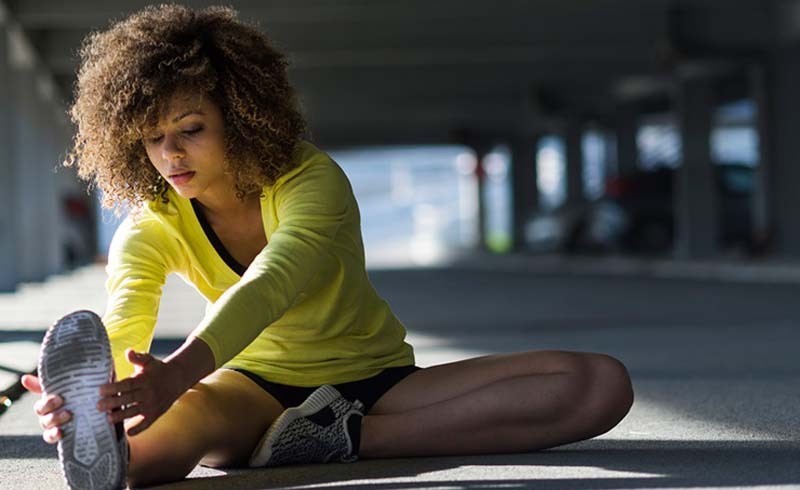 A new paper published in the journal Experimental Physiology found that nighttime workouts do not disrupt sleep, and over time can also reduce levels of the hunger-stimulating hormone ghrelin, which could help with weight loss or management. If he had to pick a best time to exercise, morning would win, Hackney says. Early workouts make the most of your biology and psychology, potentially leading to better results and adherence over time. But there’s really no bad time to exercise, Hackney reiterates, and the most important thing is finding the time to do so, whenever works for you.